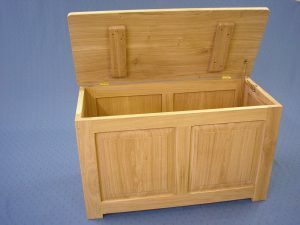 We produce several different items specifically for storage and many more dual purpose, so if we don’t currently have a suitable piece in stock we can probably make one. Here are some samples we have made previously. While I endeavour to keep notes on stock up to date, it is always safest to ring me before making a journey to our showroom. 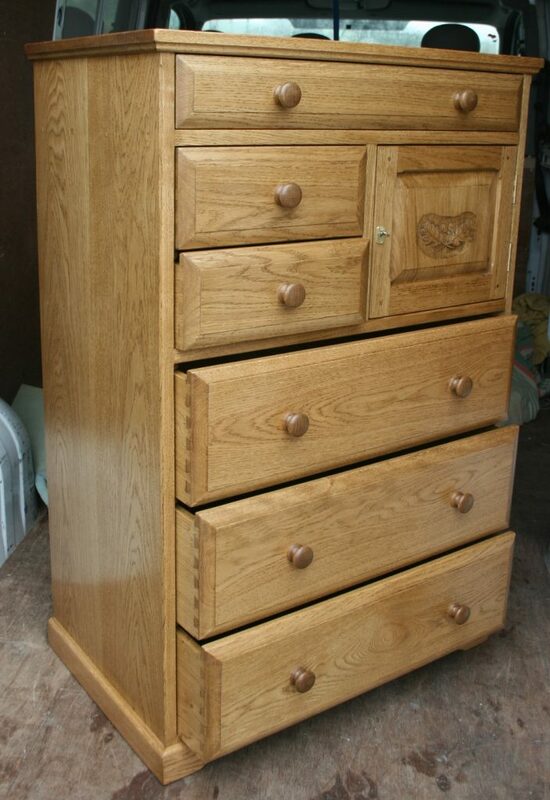 Custom made cabinet with 6 drawers and a locking cupboard. Useful amount of storage doubles as a seat. 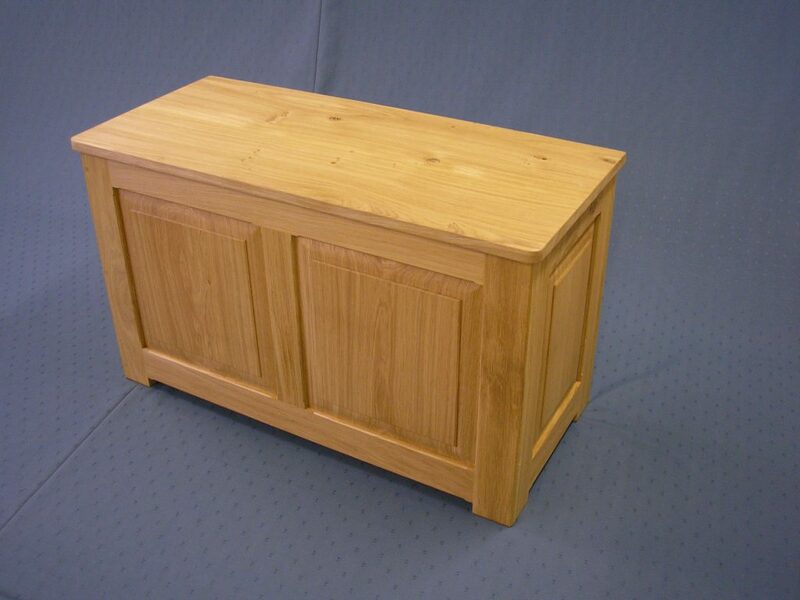 Natural oak blanket chest 36” x 22” x 16” £695 Designed to fit neatly at the end of a single bed, this chest can also be used as a toy box and double as a seat. 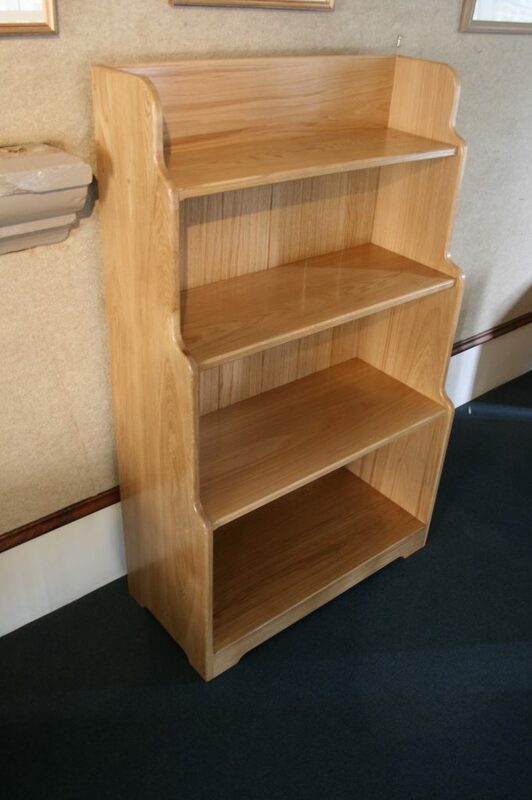 Here are two examples of our bookcases. 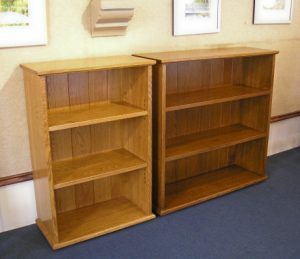 Most book storage is made to order in a huge range of sizes and styles, with either fixed or adjustable shelving The left one is finished in light oak and measures 36” x 24” x 12”, has adjustable shelves with hand turned pegs and T&G boarded back, price £429. The second one is the same design but 12” wider at 36” x 36” x 12” and costs £495. 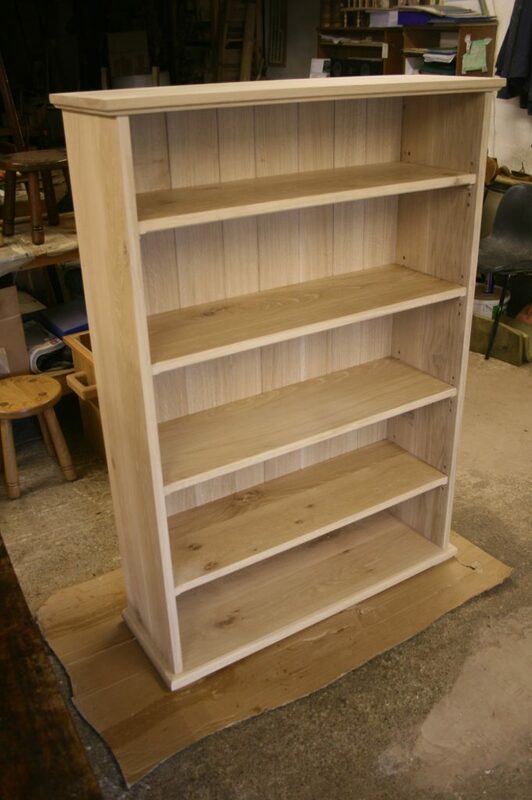 This tall bookcase is waiting for its final finish. Measuring 60” x 36 x 12” it provides very versatile storage with all shelves adjuatable. It has a T & G boarded back to add a little extra style. Guide price £795. We were asked several times by customers for units of this design, so decided to make one for the showroom. The benefit of this design is the reduction in depth as the shelf gaps become narrower. This one was 54” x 36” x 14”. Guide price £795. 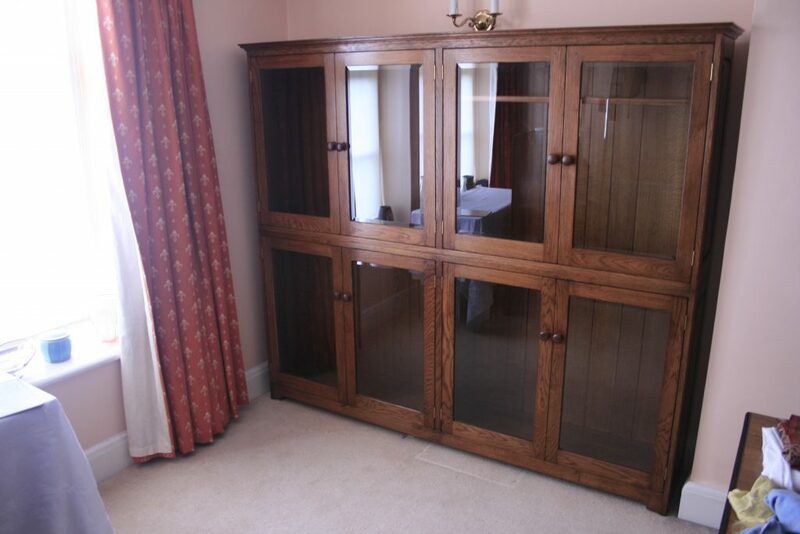 Most of our bookcases are made to order and can be designed to fit the space available. Please contact us at the workshop [01298 84467] if you would like to discuss any commissions. For the discerning book collector it is important to keep dust out as much as possible. 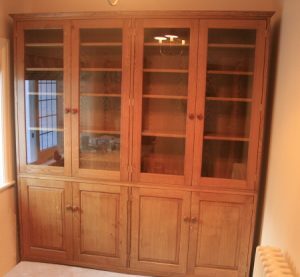 We are often asked for bookcases with doors on. The unit below was commissioned by a customer in London. Timber and colour were matched to a dining set we had previously made for the same customer. With pieces of this size we always have to consider access to it’s chosen location. This one was made in two halves and delivered with the doors off. 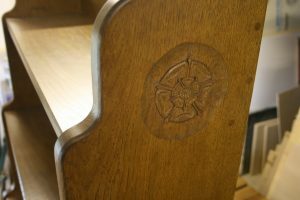 These were then fitted and polished up on site. The shelves were all adjustable and fitted afterwards. All this….and classic car parts!